Abstract/stylized female figure standing in center of rectangular fountain. Water flows down the figure. 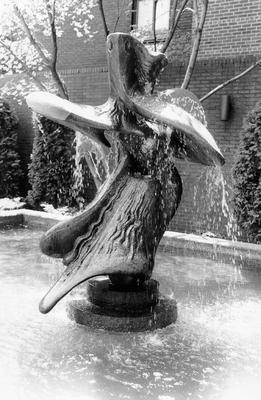 : “Water Venus,” Ohio Outdoor Sculpture Inventory, accessed April 18, 2019, http://oosi.sculpturecenter.org/items/show/183.